The term financial technology or “fintech” was reportedly coined back in the 1980s by Peter Knight in The Sunday Times, but from the start the buzzword carried political connotations. Banks are among the most protected industries, thus seeking to displace banks is by definition treasonable. Some media and investment circles joyfully described fintech as an alternative to big banks, especially following the 2008 financial debacle and bailout. Big banks are bad, so the post crisis consensus goes, thus smaller, new fintech firms perhaps are a good solution. With the innovation of technology, however, come all the perennial problems of modern finance. Bitcoin, blockchain and fintech all were dipped in the magical waters of salvation via technology, yet much of the time these “emerging” technologies and companies are just plain vanilla. Along with alternative money a la bitcoin, fintech has flourished into a new investment sector, at least in a virtual sense. When you actually peruse the growing list of firms that claim to be part of the fintech vanguard, very few of them actually bring new technology or even new business models to the table. Mostly fintech firms add efficiency and value on top of the old world of banks, which is naturally protected by regulation. The existing bank monopoly on credit and payments, as when a bank clears the payment you make on Amazon (AMZN), is a powerful barrier to entry for fintech firms. For the past several years, New York and other states have been battling with the Office of the Comptroller of the Currency (OCC) over that agency’s plan to offer “fintech” charters to online lenders and payment companies. The states lost the first round of litigation with the OCC, but now New York has just filed a new complaint, again arguing that the OCC’s fintech charters are unconstitutional and an affront to consumers. This fight between the OCC and the states is all ultimately about consumer politics and money. New York’s latest lawsuit reads more like a political manifesto than a serious legal argument as to the OCC’s long ago settled powers under the National Bank Act of 1865. The 2010 Dodd-Frank law gave back to the states significant powers in terms of federal preemption and the ability to bring enforcement actions under state law against national banks. But naturally the states and their political officials, who like the idea of levying big fines on financials firms, want more power. The OCC plans to allow “fintech” companies to operate under a national charter, thereby potentially replacing 50 state regulators and 50 state attorney’s general with a single federal watchdog in terms of activities. Also, fintech banks would still be regulated by the Bureau of Consumer Financial Protection. Significantly, these limited purpose OCC chartered fintech banks would not be depositories and would not offer deposits or have FDIC insurance. The OCC’s fintech charter offers a non-bank lender or mortgage company a way to avoid state law regulation entirely, but not be a full bank in terms of taking deposits or access to the payments system. Of interest, the OCC just announced preliminary approval for Varo Bank, a full service depository focused on consumer lending. It is notable that Varo Bank is sponsored by private equity firm Warburg Pincus, which has had a string of successful bank investments over the past decade. Varo Bank was chartered by the OCC and approved by the FDIC in terms of federal deposit insurance, but no approval from the Fed was required or sought. Because Varo Bank is a national association chartered by the OCC and since there is no bank holding company, the Fed does not have any direct regulatory authority. Avoiding regulation by the Fed greatly reduces operating and compliance costs for “unitary” banks such as Bank of the Ozarks (OZK) and Signature Bank (SBNY). The developments with Varo Bank and Square, among others, are indications of evolving regulatory arbitrage between state and federal regulation more than the wonders of new technology. The harsh, often arbitrary actions of state regulators have greatly increased operating costs in all consumer facing credit lines and especially in the mortgage sector. Regulatory expenses can sometime exceed loan servicing fees in smaller states, for example, making mortgage lending is those jurisdictions problematic over the longer term. One of our favorite LT equity holdings is Square (SQ), a payments processor that has created a very profitable niche by disrupting the bad old world of bank vendor accounts for small businesses. With considerable effort, Square pushed its way into the big bank world of payments, even without owning its own set of “rails,” but is Square a “tech” firm? Not so much. Square does not create new technology, but they make use of existing technologies in ways that never occurred to big dumb banks. In the context of the fintech wars between state and federal authorities, Square is significant because they have expressed interest in obtaining a bank charter. Specifically, the non-bank payments processor is reportedly preparing to apply for federal deposit insurance for a Utah industrial loan company (ILC), according to American Banker. FDIC Chairman Jelena McWilliams is said to be prepared to consider new applications for industrial banks aka "ILCs." FDIC officials have reportedly encouraged applicants to file “robust” applications that fully address safety and soundness concerns. While several states offer ILC charters, new entrants would likely select Utah chartered ILCs with FDIC insurance that can both take deposits and make loans. As readers of The Institutional Risk Analyst may recall, SoFi started down road to get an ILC charter but had to withdraw its application due to management turmoil. 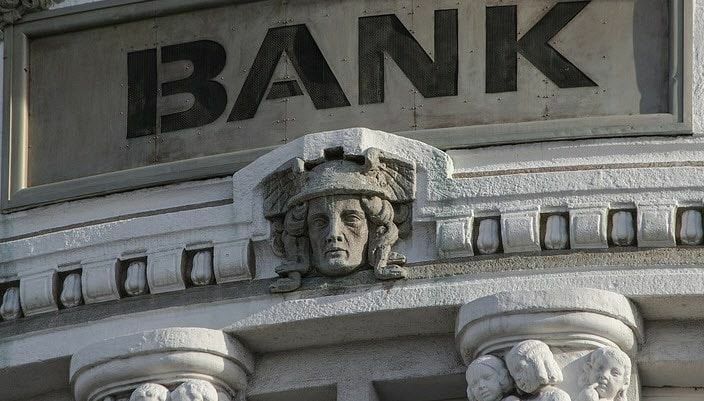 In the range of potential options for non-banks seeking to become a depository, an ILC seems superior to both a national bank and a thrift because they do not come under regulation by the Fed or OCC. Fewer regulators equals lower cost. A mortgage lender like Quicken or Caliber, for example, would not be considered bank holding companies by owning an ILC. Late vintage banks such as Goldman Sachs (GS), American Express (AMX) and Mortgan Stanley (MS) used to own ILCs before converting them to full bank charters during the 2008 financial crisis. An ILC would give non-banks access to both state law preemption for lending and servicing, and the ability to take deposits. Why is this important? Two reasons: First, the value of the float generated from the deposits created through lending and servicing consumer loans is growing every day. Second, a war is raging over the efforts by federal regulators to give non-bank financial firms a way to escape the noose of state law regulation. So why wouldn’t a mortgage servicer or auto loan issuer want a fintech bank charter? They might. But the more interesting and relevant pathway for many fintech and consumer finance companies to become banks is the ILC. By creating an industrial bank, consumer finance firms can enhance profitability and reduce operating costs while greatly simplifying regulatory and compliance tasks. An ILC typically is a state-chartered banking institution that functions in almost every way like a commercial bank. ILCs may make all types of loans and, most important, have access to the national payments system. If an ILC has more than $100 million in assets, it may not accept demand deposit accounts (DDAs). Larger ILCs may, however, offer NOW accounts, MMDAs, fiduciary and time deposits (CDs). Today industrial loan companies and industrial banks are FDIC-supervised, state-chartered financial institutions that are owned by commercial firms but not subject to supervision by the Federal Reserve Board and the non-bank activities limitations under the Bank Holding Company Act. The FDIC implemented a moratorium on granting new ILC charters in 2006 after the Federal Reserve Board and, later, the FDIC expressed policy concerns with the control of insured banks by large commercial firms, specifically WalMart (WMT). Section 603 of Dodd-Frank reflected the same policy concerns by Congress and put in place a statutory moratorium, but that freeze expired in 2013. The underlying provisions of law permitting control of ILCs by commercial and financial firms remain in effect. After a decade long hiatus, new players are seeking to own ILCs. If FDIC is indeed ready to process new ILC applications from financial firms, as opposed to commercial companies, then every well-managed and capitalized consumer lender and mortgage servicer in the country should be preparing an application. Is it time to consider turning your mortgage company or consumer lender into some sort of bank? Yes. But the ILC route rather than the OCC chartered fintech bank may be the optimal path.